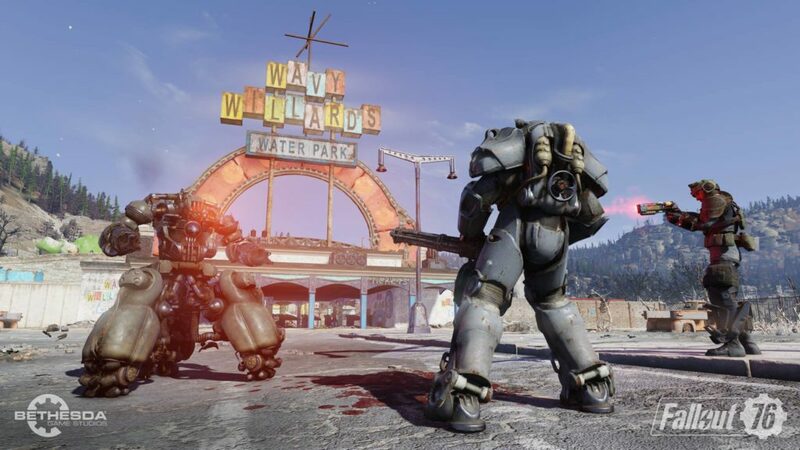 Patch 8 arrives today, bringing a host of new Wild Appalachia content to Fallout 76, including a new questline, features, balance adjustments, and a ton of bug fixes. Read on to catch the full patch notes for today’s update. Lying Lowe Questline: Separate fact from fiction as you investigate the mysterious disappearance of Calvin van Lowe. Design and Balance Adjustments: Vendors, Turrets, Glowing Mass, V.A.T.S. and more have received design and balance updates. Item Renaming: Add a personal touch to your Apparel, Armor, Power Armor, and Weapons by giving them custom names. News Screen: A splash screen will now automatically appear upon logging into Fallout 76 to notify you of the latest game news and announcements. The Burrows (Coming April 16): Explore The Burrows, a new subterranean dungeon that offers a challenging experience for even the toughest of Wasteland adventurers. Download sizes for today’s patch will be approximately 6 GB for consoles and 2 GB for PC. The Lying Lowe questline is now available! Begin your investigation into this mysterious case by finding and reading one of the “Sheepsquatch Ate My Brother” posters in Lewisburg or at Train Stations around Appalachia. “Sheepsquatch Ate My Brother” posters are also available for free in the Atomic Shop until 9:00 a.m. EDT on May 7. Once claimed, you can place the poster in your C.A.M.P. and read it to start the quest. Read our recent article on the Lying Lowe Questline to learn more. A new dungeon experience will become available one week following today’s patch, on April 16. This challenging venture will take you beneath Harper’s Ferry as you follow in the footsteps of the Brotherhood of Steel, who sent their forces underground for unknown reasons. Even the heartiest of Appalachian adventurers will have difficulty exploring The Burrows alone. Assemble a squad and make sure your gear is up to snuff before taking on this subterranean battleground. Death Mechanics: The amount of Aid dropped on death has been significantly reduced. Death Mechanics: The number of Caps lost when killed by another player has been reduced from double to 25% of that character’s level. For example, A level 60 character who is killed in Survival will now lose 15 Caps, rather than 120. The killer in this case will earn 15 Caps. Scoreboards: Map highlights for the top 3 ranked players are now based on the Players Killed Scoreboard rather than Longest Life. Temporary Invulnerability: In a recent hotfix, we addressed an issue that could prevent the temporary invulnerability effect from being applied correctly to players after Fast Traveling or Respawning. A Vendor from each faction except the Enclave can now be found downstairs in the shops at The Whitespring Resort. This should help reduce the need to Fast Travel in order to visit multiple Vendor Factions when buying and selling items. The pool of 200 Caps that was previously allocated to each Vendor Faction has been merged into one combined pool of 1,400 Caps that is shared across all Factions. This means that buying items from, or selling items to, a Vendor will update the pool of available Caps across all Vendor Factions. This change should offer more flexibility when buying and selling higher-priced items, or when attempting to trade many items at once. The Vendor Cap pool still resets after 20 real-time hours. Player-built Turrets are now affected by player PvP damage rules, which feature damage scaling, as well as an increase in base damage for all types of Turrets, ranging from +15% to +100% damage depending the Turret. Additionally, Turret attack ranges have been increased to match players’ weapon ranges. The Shotgun Turret’s projectile spread has been reduced to better match the Combat Shotgun. These changes should help Turrets in C.A.M.P.s and Workshops pose a bigger and more consistent threat against attackers. C.A.M.P. : The chance to acquire milk from a Brahmin spawned at a player’s C.A.M.P. has been reduced by half. Challenges: Consume Alcohol Challenges have had their requirements reduced from 50 and 25 beverages to 20 and 10. Challenges: Craft Alcohol Challenges have had their requirements reduced from 50 and 25 beverages to 20 and 10. Food: The rate at which Food spoils is now more consistent. Items: Resources that glowing creatures drop as loot in nuke zones, such as Glowing Mass and Hardened Mass, are now instanced for all players who deal damage to those creatures. Items: Equipping Armor with Cryogenic or Incendiary Legendary Mods no longer causes the wearer to become hostile toward attacking players in Adventure Mode prior to returning fire. V.A.T.S. : No longer targets friendly or neutral players or creatures. Upon logging in, a new screen will automatically display to notify you of the new Fallout 76 announcements, Atomic Shop offers, patch notes, and the latest game-related news. The top of the news screen will display four different items. You can cycle through them by pressing d-pad right and left on controllers, or by clicking on PC. A “More Info” option will appear along the bottom edge of the screen when viewing some news items. Selecting this may take you to a related article on Fallout.com or into the Atomic Shop. The news screen can be dismissed by selecting the “Main Menu” option to view the game’s Main Menu. Once closed, the news screen can be re-opened at any time from the Main Menu by selecting the “News” option that has been added to the bottom-center of the screen. Add a personal touch to a wide variety of items by giving them custom names. Items that can be renamed include: Apparel, Armor, Weapons, Power Armor Chassis, and Power Armor pieces you own. Weapons that stack, like Throwing Knives or Grenades cannot be renamed. To rename an item, select it in your Inventory, Stash, or a Workbench, and choose the “Inspect” option. Then, select the “Rename” option to enter and save a custom name for that item. Items can be renamed as many times as you like. Choose the “Clear Name” option to restore an item’s default name. A custom name will only appear to the player who originally renamed that item, and the item will return to its default name when traded, sold, or dropped. Item Assignment Icons: When viewed in the Stash or transfer menus, items that have been assigned to an object now display icons next to their names indicating where they have been assigned. Dev Note: For the moment, these icons will only appear on items assigned to the Fermenter. In future updates, we plan to implement more of these types of icons for other new features, such as player vending and display cases. Fermenter: Items that have Condition will now display Condition bars next to their names when viewed in the Fermenter. Map: Selecting a marker on the Map will now make it visible in front of any other overlapping Map icons, such as teammate icons. Stash: The Stash container preview window has been removed, and the transfer menu must be opened to view the contents of the Stash. Dev Note: This type of preview window makes it quick and easy to loot a few items from containers you find, but it isn’t the best way to cycle through your entire Stash. Additionally, removing this window from the Stash affords us a small performance improvement. As a result, we’ve removed this window in favor of opening the full transfer menu to view your Stash inventory. Voice: Removed support for Xbox Kinect as a microphone option in the interest of overall performance and optimization for the game. Animation: Characters now sip a refreshing beverage while toiling away at the Brewing Workbench. Graphics: Corpseflowers have received updated visual effects that will help them be more noticeable at night. Main Menu: Sound effects now play when highlighting the Adventure and Survival options when choosing a mode after selecting “Play”. Survival Beta: Sound effects now play upon placing a Bounty on another player after being killed in the Survival Mode Beta. Survival Beta: Sound effects now play upon receiving a Bounty from another player who has been killed in the Survival Mode Beta. General: Players will no longer encounter a black screen after respawning at Harper’s Ferry while wearing Power Armor. Performance: Reduced client hitching that could occur around creatures and other players. Performance: Improved server performance when moving through an area with many containers; e.g. the Scorched Beast Queen fight. Performance: Addressed issue that would affect performance when browsing the Atomic Shop. Performance: The Atomic Shop’s initial loading time has been improved, greatly reducing the delay before a player can enter the Atomic Shop. Performance: Made optimization improvements during the character save process. Stability: Fixed an issue that could cause the game client to become unresponsive after Fast Traveling or Respawning. Stability: Addressed a crash that could occur when another player claimed a Workshop. Animation: Fixed several animation issues affecting various Emotes. Animation: Fixed a visual issue that could cause Power Armor pieces to briefly disappear when exiting a Power Armor Station. Animation: Made adjustments to reload animations for several weapons, including the Short Lever Action Rifle, Handmade Gun, and Combat Rifle. Animation: Fixed an issue that could cause Power Fist animations to stop playing in certain situations. Animation: Dying just after entering furniture no longer causes those animations to continue to play after death. Animation: A bottle will no longer appear to float near the player while using the Brewing Workbench. Environment: Fixed collision issues in the tower of the Church in the Mire. Environment: Rain no longer appears to fall inside of buildings and structures when moving the camera from side to side. Graphics: Switching from a Power Armor helmet to another type of helmet no longer causes the character’s hair to disappear. Graphics: The Salvaged Assaultron Head’s visual effects that display when the weapon is charged are now correctly visible to other players. Items: The back side of the Vault-Tec Leather Chest now correctly appears when viewing the item in the Inspect menu. Items: The Pipe Bolt-Action Pistol ammo no longer appears to clip through the back of the gun in third person view. World: Exiting a Workbench while in third person view no longer causes the game camera to always face true north. World: Drinking Nukashine and blacking out while using furniture no longer results in camera issues. Blueprints: When attempting to place a Blueprint that contains a locked object, such as a locked door, the material costs to place the locked item will now appear correctly. Exploit: Addressed an exploit that could allow players to gain a free C.A.M.P. placement. Exploit: Addressed an exploit that could allow beverages to be duplicated. Crafting: In Modify mode, the “Variant” option no longer incorrectly appears after selecting an object that has variants. Crafting: Fixed an issue in which several C.A.M.P. objects could appear placeable even if the player lacked the materials required to build them. Crafting: When attempting to replace an existing mod on an item with a new mod, players will now receive a notification informing them that the currently equipped mod will be destroyed. Crafting: Fixed an issue where unlearned objects were missing icons and preview images in the build menu. Crafting: Vault-Tec Bed variants 1 and 2 now correctly appear in the crafting menu after the player learns the associated plans. Crafting: Addressed an inconsistency in how object costs and quantities were displayed when using the “Repair All” option. Fermenter: Beverages assigned to a Fermenter no longer continue to ferment if the Fermenter is destroyed. Fermenter: The Fermenter menu will now close if the Fermenter is destroyed while the menu is open. Fermenter: Fixed an issue that would cause the Fermenter Tutorial to repeatedly appear. Fermenter: Fixed an issue where items from Fermenter would be lost if C.A.M.P. could not be placed. Neon Letters: Fixed several issues affecting placement of Neon Letters, Numbers, and Symbols. Pylons: Players can no longer bypass a keypad that has been connected to a Power Pylon when attempting to toggle the power to that Pylon. Workbenches: The Vault-Tec Weapons Workbench no longer changes positions after its owner Fast Travels. Workbenches: Fixed an issue in which the Power Armor Station menu could persist on-screen if the station was destroyed while in-use. Workshop: Fixed an issue in which Workshop defense event quests could be marked as complete before all enemies were killed. Workshop: If the current Workshop owner disconnects while another player is contesting ownership, the contesting player will automatically be selected as the new owner. Daily: Wearing a Sun Hat when taking a picture now correctly progresses the “Take a Picture While Wearing a Hat” Challenge. Daily: Wearing a Sun Hat when collecting Caps now correctly progresses the “Collect Caps While Wearing a Hat” Challenge. Daily: The “Craft Alcohol While Intoxicated and Wearing a Beer Hat” can now be properly completed while under the effects of Chems. Combat: Using a Railway Rifle to kill a Robot now correctly progresses the “Kill a Robot with a Rifle” Challenge. Combat: Using a Flare Gun to kill a Robot now correctly progresses the “Kill a Robot with a Pistol” Challenge. 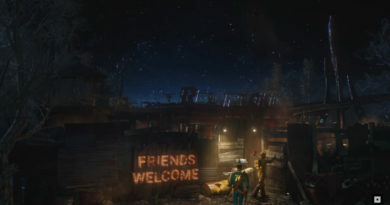 Social: On consoles, the “Make a Friend” Challenge now correctly completes after successfully adding a friend. Weekly: The “Kill a Megasloth” subchallenge for the “Kill Different Kinds of Tough Enemies” Weekly Challenge now correctly completes upon killing a Megasloth. Encounters: Fixed a wilderness encounter in which two enemy types would not fight each other as expected. One of the enemies was replaced by Bees and will now correctly fight with Ghouls. Insult Bot: The Insult Bot will now insult you. Ranged Enemies: Fixed an issue where certain Creatures were not using their Sprint movement behavior while within max attack range. Respawn: Large enemies no longer spawn in incompatible locations. Ammo: Fixed an issue that could prevent Ammo from being automatically equipped if it was dropped and then picked up again. Exploits: Addressed an exploit that could result in infinite ammo for the Gatling Laser and Gatling Plasma. Food: Buffs and other effects applied after consuming food, such as Radstag Meat or Appalachian Chili, now persist across play sessions if the player logs out before the timers for those effects expire. Weapons: Holiday Emotes now work correctly when weapons are equipped. Weapons: The Railway Rifle now correctly benefits from rifle-related Perks. Weapons: The Salvaged Assaultron Head no longer fires all Fusion Cells in a player’s inventory on the first shot. Weapons: Charged weapons, such as the Salvaged Assaultron Head, now correctly deal increased damage in proportion to the number of times they have been charged. Weapons: Attempting to fire the Salvaged Assaultron Head while it is charging will no longer cause the player to take radiation damage, as if it had been successfully fired. Always Vigilant: Upon completing the quest, item rewards will no longer appear before the quest completion fanfare. Black Mountain Ordinance Works: Fixed an issue that prevented players from picking up the TNT Dome Key 7 at Overlook Cabin if another player had already collected it. Census Violence: This event no longer occasionally spawns critters instead of enemy creatures. Coming to Fruition: Turrets no longer respawn in the armory courtyard if they had previously been destroyed. Exploits: Addressed an exploit that could allow players to repeatedly gain XP during the Key to the Past quest. Irrational Fear: The event timer no longer momentarily disappears from the quest tracker. Supply Drops: Nearby players no longer receive the Miscellaneous Objective instructing them to find another player’s Government Supply Drop. Swarm of Suitors: Fixed several issues that could prevent players from progressing the Swarm of Suitors Event. Wasted on Nukashine: Fixed an issue that could cause the Nukashine Supply Room password to lose its status as a quest item if the player became disconnected. Animal Friend, Wasteland Whisperer: Pacified creatures no longer attack C.A.M.P. objects like Generators or Artillery. Animal Friend, Wasteland Whisperer: Pacified creatures no longer become aggressive if the player has the Plague Walker Mutation. Cap Collector: Addressed an issue that could prevent the “Search” option from being displayed while viewing Cap containers. Escape Artist: Gaining invisibility from the Chameleon Mutation while already invisible from the Escape Artist Perk, or vice versa, no longer results in permanent invisibility. Shared Perks: No longer automatically become unshared if the sharing player’s Charisma stat is modified. Alpine Horn: Increased the volume of the Alpine Horn’s sound effects when activated. C.A.M.P. Objects: The Waving Santa statue now correctly plays its merry jingle while powered on. Wanted: The Wanted notification sound effect no longer plays every time a Wanted player closes their Pip-Boy or Map. Workbenches: Fixed an issue affecting the ratchet sound effects that play while at a Tinker’s Workbench. Challenges: Fixed an issue that could cause notification text to appear truncated when making progress toward a tracked challenge. Challenges: The notification text and animated Atom icon that display upon completing a Challenge no longer overlap. Challenges: Several Daily and Weekly Challenges have had their titles shortened to improve consistency in the Challenge Menu. Compass: While wearing Power Armor, Map and Quest markers no longer appear misaligned from their actual locations in the Compass. Challenges: Fixed an issue that could cause the Atom and Perk Card Pack reward symbols to appear misaligned in the Challenges Menu. Favorites: When Favoriting multiple weapons of the same type, the radial favorites wheel now correctly saves players’ selections across play sessions. Hotkeys: On PC, the “Toggle Unlockables” button that appears while using Workbenches is now correctly bound to the “V” key. Challenges Menu while using a Spanish game client. Main Menu: Corrected a minor texture issue in the Wild Appalachia Main Menu video. Main Menu: Hovering over the Atomic Shop while it is still loading no longer causes a grey highlight to persist. 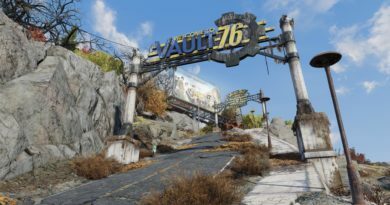 Map: Player icons no longer appear on the Map for characters inside Vault 76 who have not yet completed character creation. Map: Hunter/Hunted assassination target quest markers no longer appear offset from the target’s actual location when viewing the Map. Player Reporting: The confirmation message after reporting another player now includes a URL directing them to the Customer Support website. Quick Swap: Unequipping Apparel or Throwing Weapons and then using the Weapon Quick Swap button no longer causes the player to switch to their fists. Respawn: Fixed an issue that could prevent players from receiving the “Retrieve your dropped loot” objective upon respawning after dropping Junk. Shop: Corrected an issue that could cause discount amounts displayed in the Atomic Shop to round down. Shop: On PC, only the “Enter” key can be used to confirm a purchase in the Atomic Shop. Shop: Unlocking an Atomic Shop item via the Change Appearance menu now immediately equips that item. Survival Beta: Fixed an issue that could prevent a player from receiving kill credit in the Players Killed Scoreboard after downing another player who is then killed by someone else. Survival Beta: The Wanted players and the current top 3 players in the Scoreboards now appear when viewing the Map while respawning. Survival Beta: Fixed an issue that could allow players to Fast Travel to a paper bag dropped by a teammate on death. Survival Beta: When placing a Bounty on another player the Cap amount displayed now more accurately matches the slider’s position. Survival Beta: If a player only owns the minimum number of Caps required to place a Bounty on their killer, the slider’s position will now more accurately match that Bounty amount. Trade: Upon inviting another player to trade, a new notification will now appear stating “Waiting for [Player Name]’s response” until that player responds to the invite. Voice: Relaunching the game on Xbox One after the client closed unexpectedly no longer occasionally causes Voice Chat to stop working. Workbenches: Item categories no longer appear in Workbench menus if no items in that category are available.